Nicholas Diaz, a 21-year-old with autistic and seizure disorders, acted out last summer when staffers at Woods Services in Langhorne denied him a snack. The result was a beating that left the young man with a black eye and other injuries to his face, neck, and arms, according to a federal lawsuit against Woods. Woods denied the allegations. Nicholas Diaz acted out last summer when staffers at the group home for the intellectually disabled in Langhorne where he was staying denied him a snack. 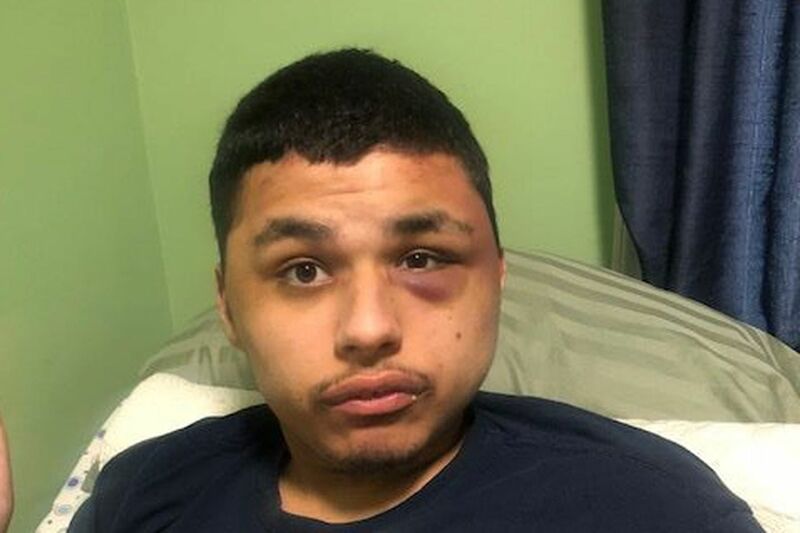 Diaz, a 21-year-old who has autism and suffers seizures, was beaten up by the caretakers, who left him with a black eye and other injuries to his face, neck, and arms. Patricia Legare, another resident under the care of Langhorne-based Woods Services, had a shoe print on her back after an assault by a staffer in May 2017. Legare, 15 at the time, has autism and obsessive-compulsive disorder. Those allegations are part of two lawsuits alleging abuse and neglect at Woods, which claims to serve 4,000 children and adults with intellectual and developmental disabilities, behavioral problems, and brain trauma. The complaints on behalf of Diaz and Legare, both New York residents, allege that the victims now have post-traumatic stress disorder and have become fearful of mental health workers. The Legare lawsuit, filed Monday in U.S. District Court for the Eastern District of Pennsylvania, is Shaffer’s fourth against Woods, which had $134 million in revenue in the year ended June 30, 2018, not including affiliated nonprofits located away from Langhorne. Patricia Legare, now 17, had a foot print on her back from being stomped by a staffer at Woods Services in May 2017, according to a federal lawsuit filed against Woods in Philadelphia Monday. "The fact is our organization is based on a closely supervised, comprehensive protocol of responsibility, accountability, and devoted care. This is a high standard that every employee is expected to uphold. Additionally, we work very closely with all our funders and regulators as we have shared responsibility for the individuals we serve. Simply put, if anything happens that is not according to an individual’s care plan, it must be – and is – reported. " Woods is known for accepting individuals with extremely difficult conditions. Some parents have said no other organization would care for their child. But Shaffer and some advocates for the disabled contend that “Woods has a culture of abuse and neglect that goes unreported because Woods promotes a culture and environment that discourages reporting abuses by its employees,” as Shaffer notes in his latest lawsuits. Shaffer has been working on Woods cases since at least 2017. In January 2018, he sued Woods in Bucks County Court on behalf of a youth whose nose was broken in an alleged December 2016 assault by a Woods staffer. In that case, Woods did not deny that the assault happened. “The worker acted solely on his own, he did not comply with Woods standards, Woods immediately dismissed him, and Woods called the police who arrested him,” Woods said in a statement in response to the lawsuit. Woods then filed a defamation lawsuit against the New York nonprofit, asking a federal judge to order DRNY, formally known as Disability Advocates Inc., to retract the report, apologize, block DRNY from visiting Woods with the consent and supervision of a neutral third party, and award compensatory and punitive damages. That suit remains active in U.S. District Court.